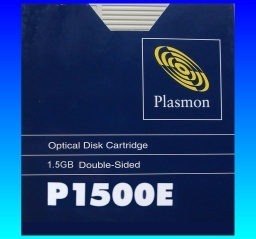 The Plasmon disks were available in with capacities 200MB single sided,200MB 940MB 1.4GB 1GB 1.5GB, and were available as WORM (Write Once Optical Disk Cartridge) , ReWritable, Double Sided with data size 470MB/Side, 500MB/Side 700MB/Side 750MB/Side. By far the most common disk we see is the P942, P940C, P201 and P1500E. We sometimes get the P470C, P1400C, P1402 and P10002E. All the disks were often used with Corel Backup Software to create or simulate a DOS like partition in Windows computers, Novell, early Apple Mac G3 G4 PowerPC PPC computers. The disks are compatible with Plasmon’s RF Reflection Series drives and jukeboxes and Panasonic’s LF series Phase Change drives. The disks were re-badged and used in Magstore, Storage Dimensions, MAXIMUM Duetie, Bio-Logic, Corel PRO Drive, Reflection Systems and IBM 3363 WORM	Write Once Optical Disk Cartridge system. Panasonic also sold the LF-J5000 jukebox which could store up to 50 discs with interface to Mac, Vax VMS, Unix, Xenix, and Micro Channel and Plasmon had their RF Reflection Jukebox. Plasmon disks were used in Apple Mac and Windows / DOS PC, as well PCDOC, Document Image Processing Workstations, Electronic Filing Cabinet Systems, Document Management Systems (DMS or EDMS). Its was envisaged as hard disk backup, desktop publishing applications, and graphic imaging software. Apparently Corel SCSI allowed interface to Novell and OS/2 along with DOS. The disks could be read in Panasonic optical disk Jukebox LF-J5000 LF-J7000 and Plasmon RF-60J-703 Optical Jukebox (which could hold 60 disks). WORM disks are Write-Once Media, as opposed to being Rewritable. The WORM disc could be recorded just once, but read many times in an optical disc drive. The 5-1/4 inch WORM media have a data retention of only around 30 years so it is probably best to get the data off them before the discs start to deteriorate and show errors or give trouble reading in the drive. Plasmon Cartridges employ WORM filesystem and used Corel software and had signatures like IBM CRL2 CRL3 and CPK. WORM drives are useful for companies like insurance, banking and government agencies, since WORM drives meet regulatory requirements for saving data. Data on WORM cartridges can often be admitted into a court instead of the original document, since the permanence of the disk writing has been proven. A problem occurs with the WORM media in that any historical changes are recorded on the disk so occupying sectors that cannot be re-used for new data, When a file is changed, no matter how minor that change is, several new sectors are occupied on the disk to accommodate the newly amended file. In this way you can see how the disk would quickly get full in a live data environment such as word processing, billing systems, spreadsheets, time-sheet recorders, expenses and accounting processes. 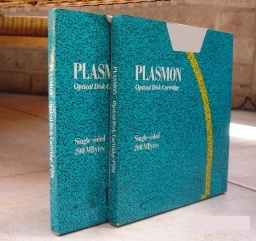 Plasmon introduced its first optical discs in 1985 - the so called moth-eye disc. Optical discs store data by either reflecting or blocking a laser beam. The motheye disc laser melts the moth-eye substrate turning its light absorption property to a reflector. The disks use phase-change technology developed in the 1960's. Phase change discs do not rely on magnetic influence as do hard disks and magneto-optic discs ie. MO disks. 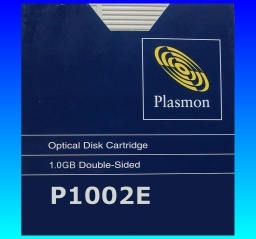 Plasmon's discs held up to 200 megabytes (MB) of data. 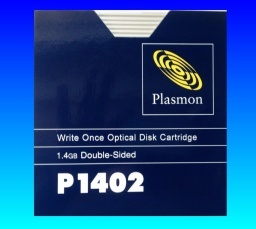 P1402 Plasmon Write Once disk conversion 1.4GB"
P1500E disk cartridge extract files"
I am trying to retrieve data from some older discs. I tried installing dos with scsi drivers and the optical drive, but the optical drive is not recognized by dos with a drive letter. Plasmon Optical Disk Conversions, File Transfer and Data Recovery problems that we recover data from are listed below. plasmon,disks,optical disks,p201,p470c,p940c,p942,p1400c,p1402,p1002e, p1500e,worm,rewriteable,file transfer,data recovery,convert disks,disk conversion,jukebox. 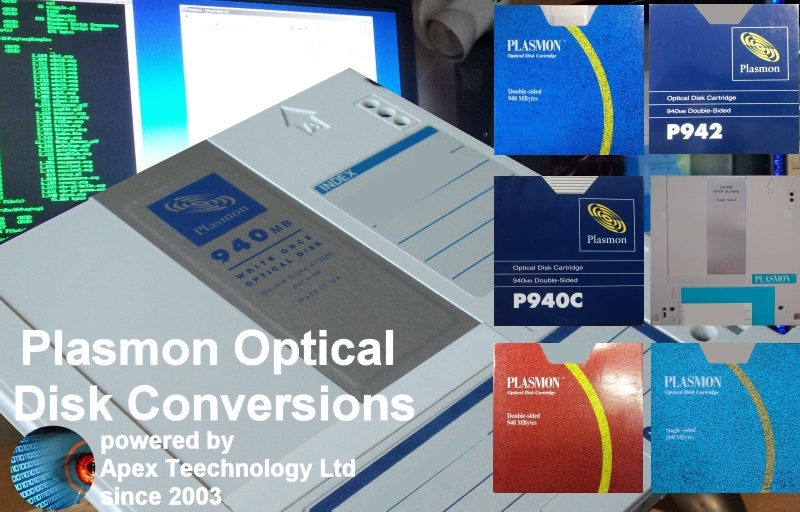 Plasmon Optical Disks Convert Transfer Files WORM p201 p470c p940c p942 p1400c p1402 p1002e p1500e,Recover Data,Data Recovery,Write Once,ReWritable.